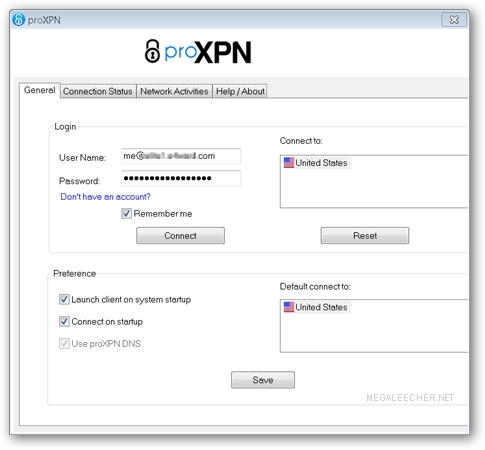 in earlier giveaways - free VPN service proXPN is here for you. The free service allows users to browse the web securely and anonymously via an encrypted VPN tunnel having USA IP perfect to bypass country specific restrictions like watching Hulu and restricted Youtube videos from outside USA. The best part of proXPN is that you can use the service without installing the client software from Windows, Mac, Linux, iPhone or any other PPTP supporting desktop or mobile platform. proXPN can be grabbed from - proXPN.com and if you want to use the service without installing the client utility do read the iPhone configuration instruction here applying them to your platform of choice. On hand with proXPN.com, thanks admin. Hide IP to surf anonymously, prevent hackers from monitoring your on-line activities or identity thieves from stealing your identity and alternative personal information, send anonymous email, and un-ban yourself from forums or restricted websites Unblock All Social Site Any Place In Our World.